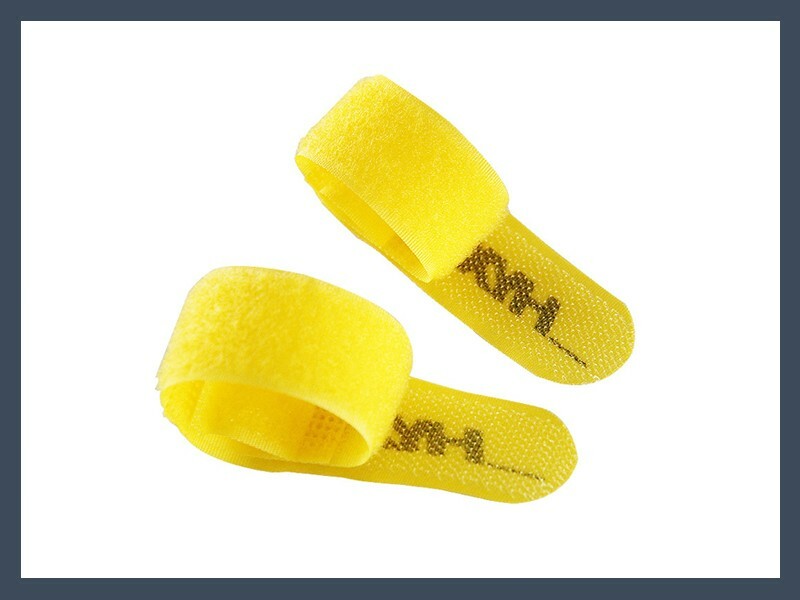 Specification: 10*60MM、10*85MM、10*90MM、10*100MM、10*105、10*150MM、 12*140MM、12*150MM, etc.Other specifications can be customized. 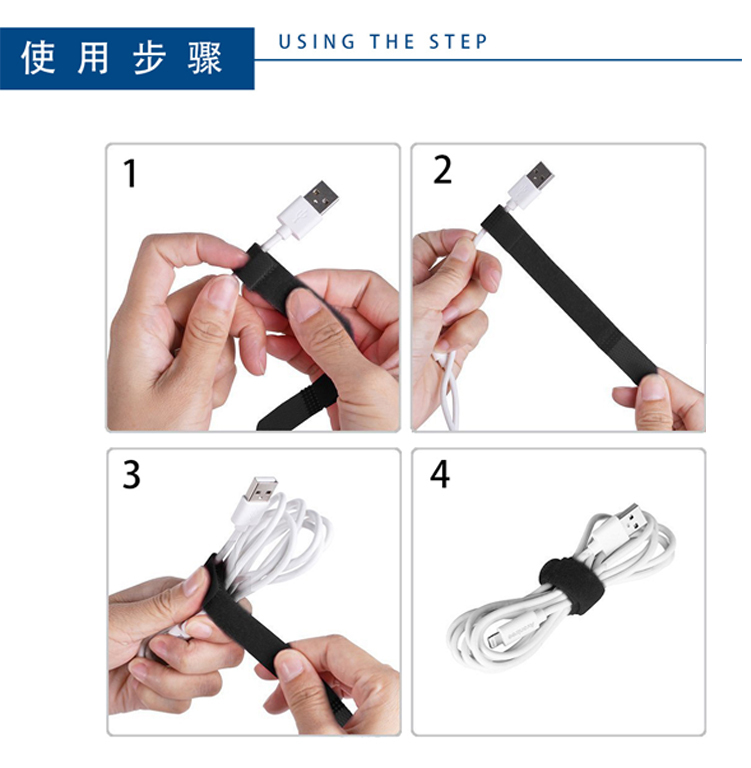 Uses:Wire and cable, communication engineering, connector, computer peripheral wire, etc.According to the guest request printing of company name and company logo, website and advertisement promotion information, etc. 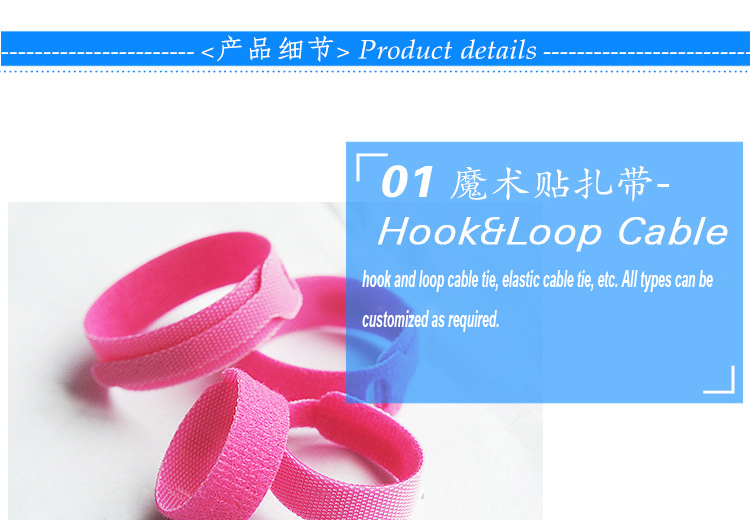 Usage: Hook and loop hole is wire inlet, through fixed on the wire, wires can be tied together at the other end. 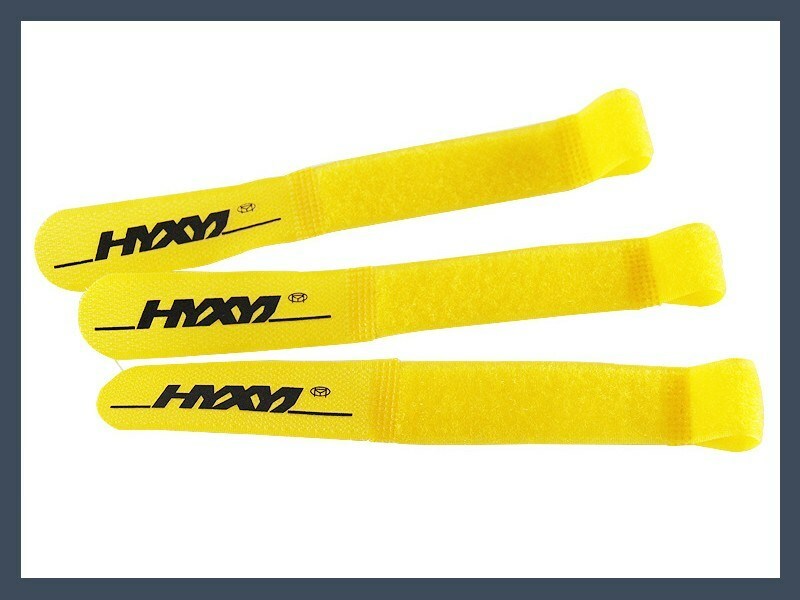 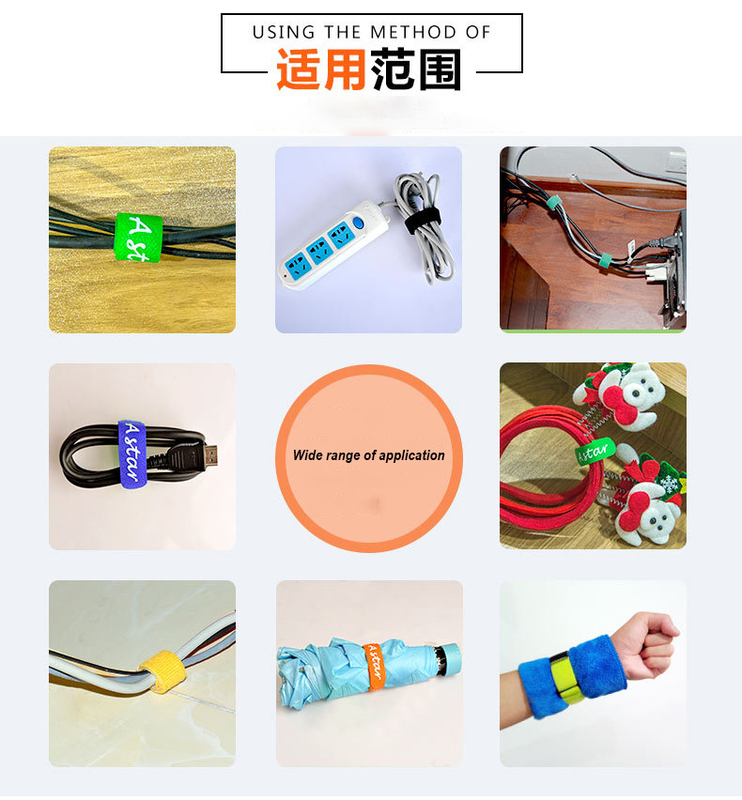 Features: by high frequency welding or sewing,the hook loop surface of the magic tape is connected, forming a circle it from sticking together, is easy to tie and organize all kinds of wire, computer wire, also known as wire cable tie.Can customize various specifications length, large cargo lashing belt, luggage belt, small optical fiber cable tie, all kinds of electric wire bundling belt can be customized, can be printed logo, also can make boxes products.